…Or make that geeks who love beer, because beer geeks are a whole other breed. Those of us in the blogging biz appreciate a good keyboard shortcut. 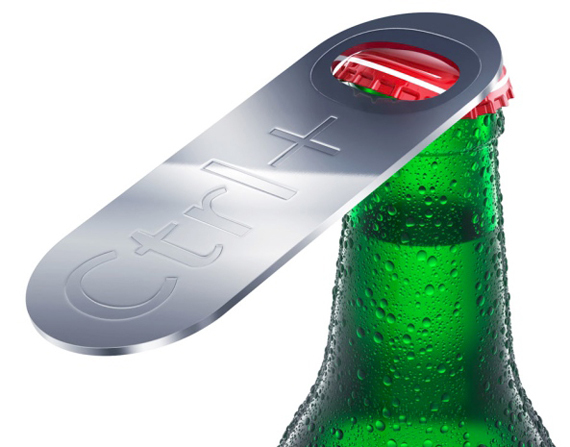 Like most folks, we also like to enjoy a good beer (read: ones without a twist off cap) Art Lebedev has combined the two idea into the witty Control+O Bottle Opener. The handy stainless steel, low-tech gadget will crack open brews with the same ease of holding down control O…or command O for our Mac friends.